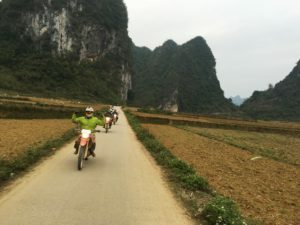 Riding motorbikes on the amazingly scenic mountain passes, riding through the peaceful villages of the colorful ethnic people on the smooth back-roads or fun – adventure dirt/single tracks and riding on the breathtaking coastal roads are all what you can have in this 15 day motorbike tour in Vietnam . This Vietnam motorbike tour start from Hanoi covers almost beautiful landscapes in Northern Vietnam and then down to the south on the most interesting part of the Ho Chi Minh road with DMZ, Vinh Moc tunnels then end in a peaceful ancient town of Hoi An in Central Vietnam. 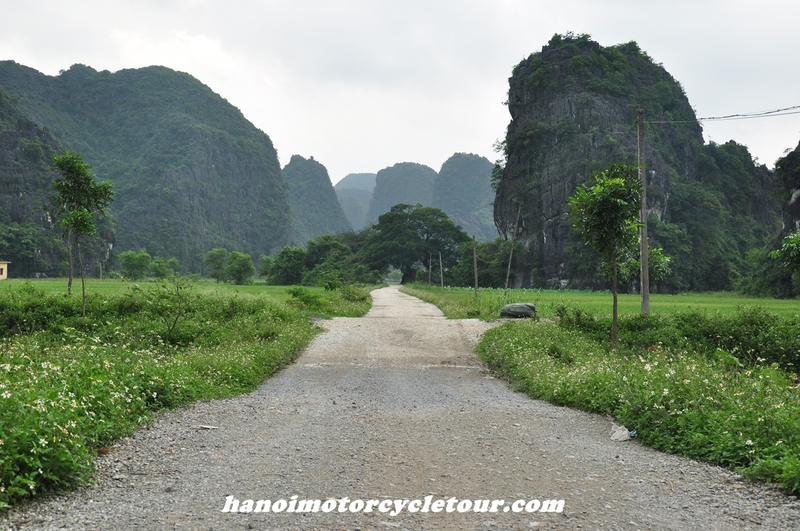 This is one of the top choices for your motorcycle tours in Vietnam. Please click here to view the route map! The sound from the Ba Be National Park or from the dogs, pigs and chickens in the villages may wake you up earlier than normal but that’s the chance to feel the morning fresh air and experience the new day in remote area of Vietnam. After breakfast with the Tay family, we take a short walk to the Babe lake pier to start the 2 hour boat cruise around the largest natural lake in Vietnam – Ba Be lake. 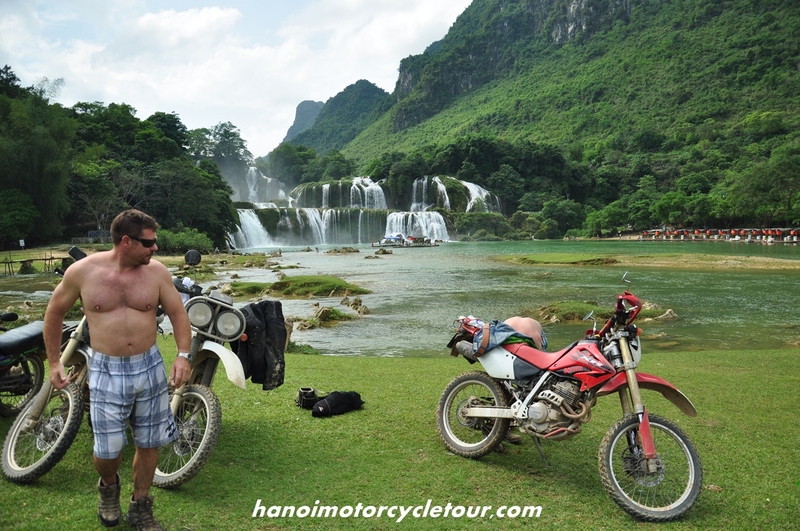 After another lunch in Pac Ngoi village, we will have easy motorcycle tour to Cao Bang. 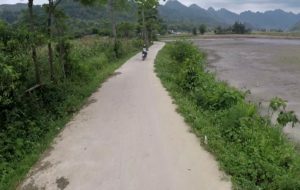 The ride is about 150 Km from the village and it is almost on the smooth road up and up to Cao Bang where we stay the second night. 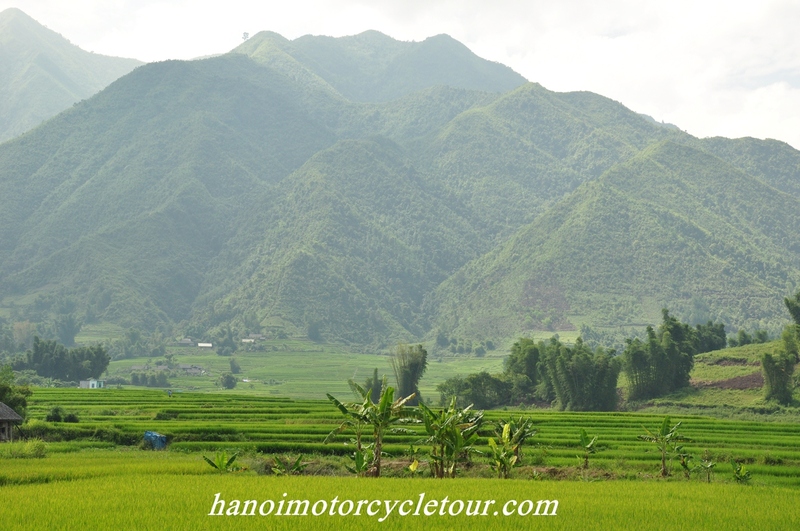 This is another highlight of this Northern part, after saying goodbye to the host the experienced guide of Vietnam Motorbike Tour Expert will take on the scenic back – roads leading to the Chinese border, the ride is almost on-road offering amazing view of mountains and rice fields between villages of the ethnic people. We’ll be at the Chinese border where we can see the biggest and most beautiful waterfall in Vietnam – Ban Gioc at the noon time. Stop riding for lunch and then spend the relaxing time to take pictures or swim at the waterfall. 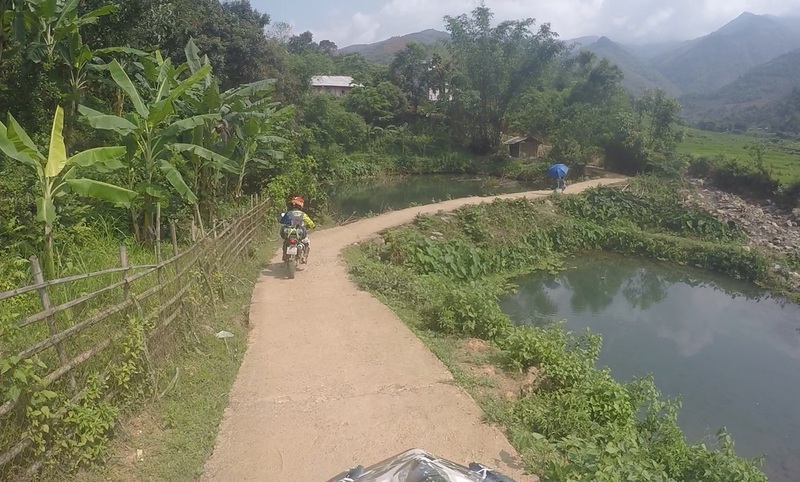 After the great time with the waterfall, we’ll be back to the beautiful roads and enjoy again the motorbike ride to little peaceful town of Quang Uyen. We’ll arrive at the family of the Tay people nearby the town at 5:00 PM, getting off the bikes then enjoy the relaxing time with the family. 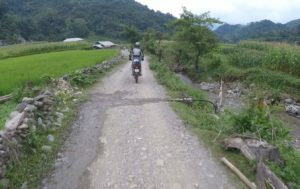 Today’s ride promises to be the highlight of this motorcycle trip inVietnam as we will visit one of the most remote land in Vietnam where we can see many ethnic groups with their unique cultures and imposing mountains such as : Pi Leng Pass – one of the 4 longest and most beautiful passes in North Vietnam, the Rock Plateau, the Vuong palace in Dong Van, The “Heaven Gate” in Quan Ba. This is for sure the best motorbike ride in Vietnam with many interesting and amazing things in every meter of the road. Arrive Ha Giang in the late afternoon. Today’s ride is quite different from the days before with mixture of paved roads up and down with green and nice view of mountains with lovely villages of the hill tribes in between rice fields. 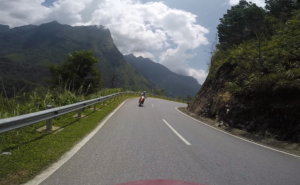 After the short break in Lao Cai with a cafe at the border gate to China we will heading up and up to Sapa, the view is more beautiful nearby Sapa. 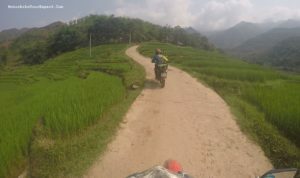 From 2014, Sapa became too famous and it was quite touristy with a lots of construction for hotels, roads… and the Sapa town is not a good choice for tourists to stay so we – the Vietnam Motorbike Tour Expert wanna take you to one of the nice villages nearby Sapa where you can have a great view of countryside and visit and talk to the interesting Dzao people. Start the ride at 8:30 am. Today we will have another great motorbike ride in north Vietnam, it is almost on mountain road with amazing view of terrace fields and cross a lot of rustic villages of hill tribes. 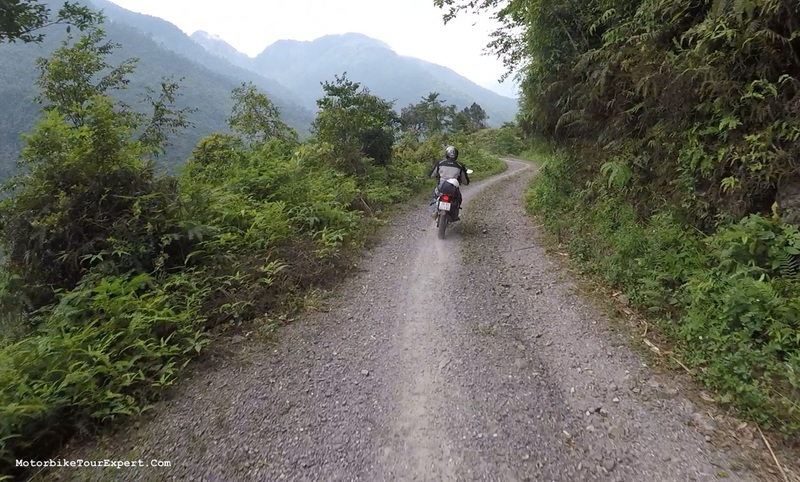 This is a typical motorcycle tour Northern Vietnam, we are just winding with the mountain back-roads and stop every half an hour to take pictures or chat with colorful local people. We will be in Phu Yen at 5 pm. 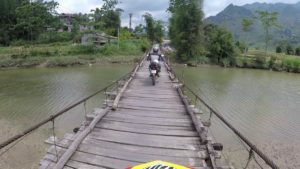 This is a short motorbike tour North Vietnam but it promises to be one of the best parts of the trip. After getting out of the town, we’ll have beautiful motorbike ride along the Da river lake, this ride remind you of the motorcycle tour on coastal roads. The route is almost empty in the middle of mountain and the river lake. 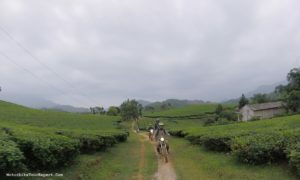 After the motorcycle ride along the river, we will motorbike up and up to Moc Chau plateau where is famous for green tea and cool temperature. 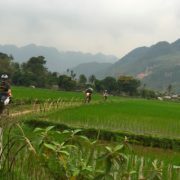 After lunch, we’ll make a turn to a small mountain pass to ride down to Mai Chau valley. 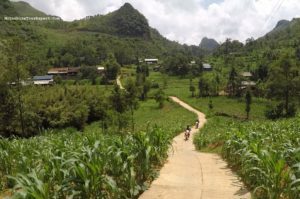 We will end the great Northern Vietnam motorbike tour in Mai Chau at 4:30 pm then we can spend the rest time of the day to have a short walk around the peaceful village of the Thai people. 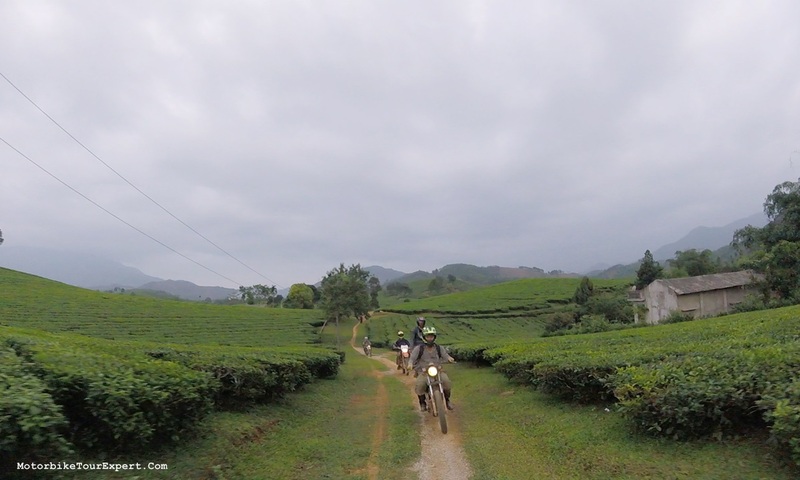 From today we will start to ride all the way down to central Vietnam on the Ho Chi Minh trail. After breakfast and saying good bye to the host, we will have very interesting Mai Chau motorbike tour through rustic villages of the Thai people and green rice fields. 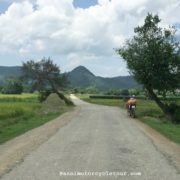 When we get out of the valley, we will keep riding on a small, spectacular and paved trail along the Ma river until Cam Thuy town where we stop for lunch. 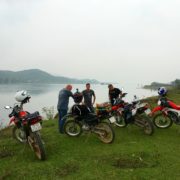 After lunch, just enjoy a relaxing motorcycle tour Ho Chi Minh trail to Tan Ky. We arrive Tan Ky town at about 5:00 pm. formation of Phong Nha-Ke Bang National Park has evolved since the Paleozoic (some 400 million years ago) and so is the oldest major karst area in Asia. Subject to massive tectonic changes, the park’s karst landscape is extremely complex with many geographic features of considerable significance. 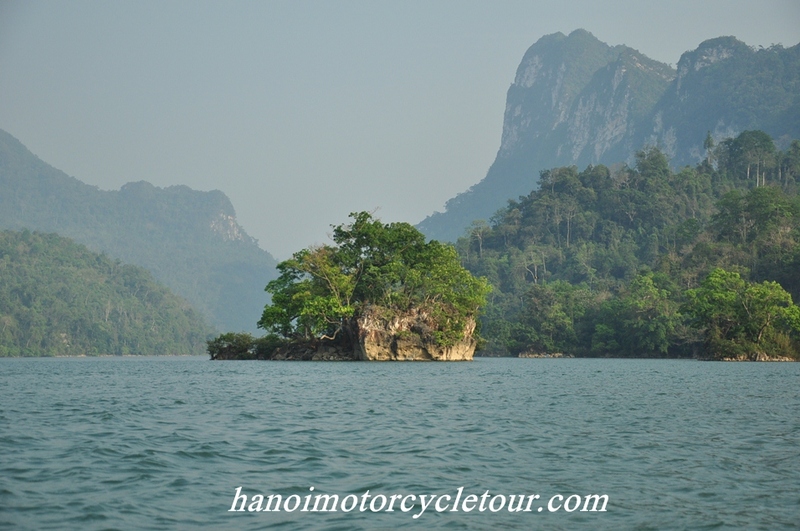 We will arrive Phong Nha at around 4:30 pm, and if time and weather permit, we can have a short boat trip along the green river to go through some famous caves. 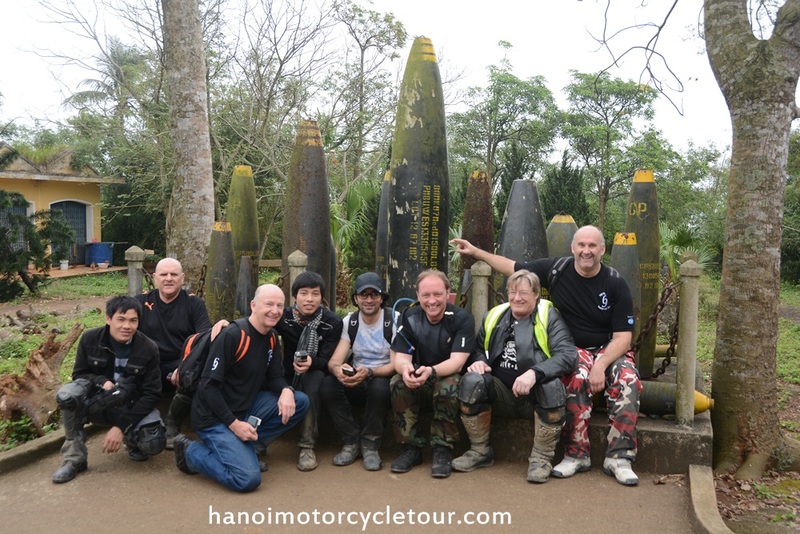 Unlike many other Vietnam motorcycle tour organizers, Vietnam Motorbike Tour Expert will take you to Khe Sanh on the western Ho Chi Minh trail. 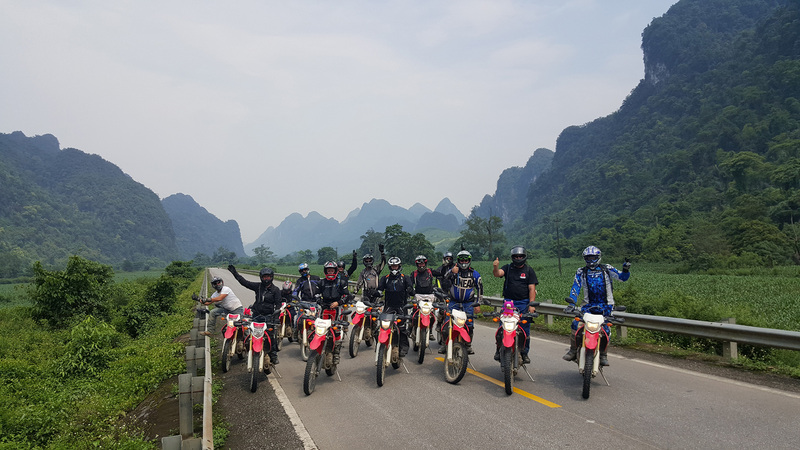 The western trail is known as the hidden trail that the Us Army did never know to bomb, the trail runs through the National park of Phong Nha – Ke Bang, in more than 200 km, you will just see few other motorbikes but a lot of beautiful and beautiful mountain view. 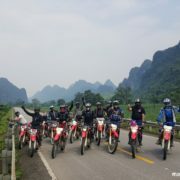 The ride on this trail could be one the best motorcycle tours Vietnam; Especially, after getting out of the Phong Nha National park, we will get chance to visit the former US Merine Base with tunnels, Air base and a interesting museum of Khe Sanh. We will finish the great western Ho Chi Minh trail motorbike tour at about 5:00 pm. 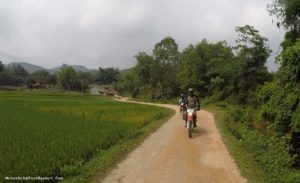 The last day of this motorbike tour Vietnam is completely different from the days before. 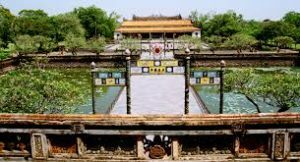 Right after getting out of Hue city we will have great motorbike ride along the coast through some fishing villages and colorful fields of tombs. 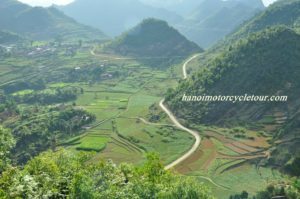 The view is quite different from the view of mountain along the Ho Chi Minh trail; especially the motorbike ride cross the Hai Van pass must be one of the best motorcycle tours on coastline Vietnam. We will be in Da Nang city at around 2: 00 pm. 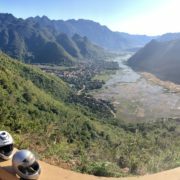 You can choose to stay in coastal city of Da Nang or keep riding around 30 km more to Hoi An ancient town before ending up and say good bye to the motorbike guide team. TOUR END!